For a beginner learning art, it is natural to wonder what the difference between painting and drawing is. And to answer that question, there is a vast and significant amount of difference between the two. Not only in the syntactical meanings of the two terms, but also in the various types of each and the techniques of approach. 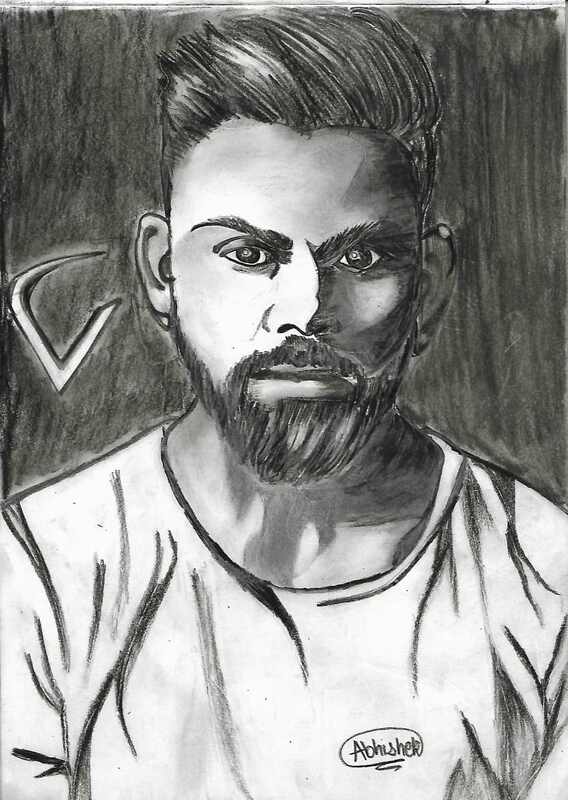 The definitive and expert review is right here, to clarify more, the types of paintings, types of drawings after elaborating about the fundamental difference between the two. And additionally, you also get to know more about differences that exist between each drawing technique and painting technique. 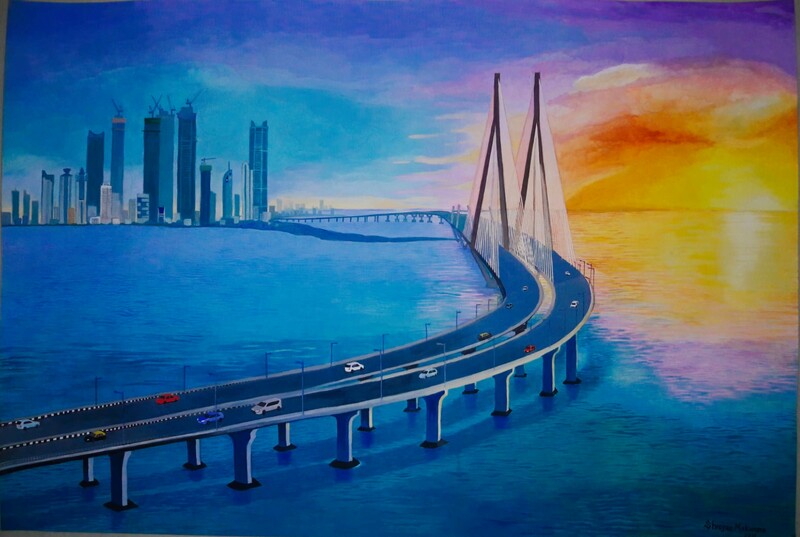 Go ahead and read to know more about the various types of paintings and the types of drawing. By definition, a painting basically is artwork that involves the use of a brush and very obviously, paint colors. Regardless of the type of paint or brush being used, the artwork still gets classified as painting the moment it utilizes a paintbrush. Whereas a drawing, on the other hand, can be achieved without the above mentioned two materials. It most commonly involves the use of a pencil in the majority of the cases and sometimes, even a pen. Let us now find out more about the histories of both art forms, and how they have transformed over the years. History of drawing stretches back to prehistoric times. It was used, as either a medium for recording history or for communication, long before the invention of a pencil. 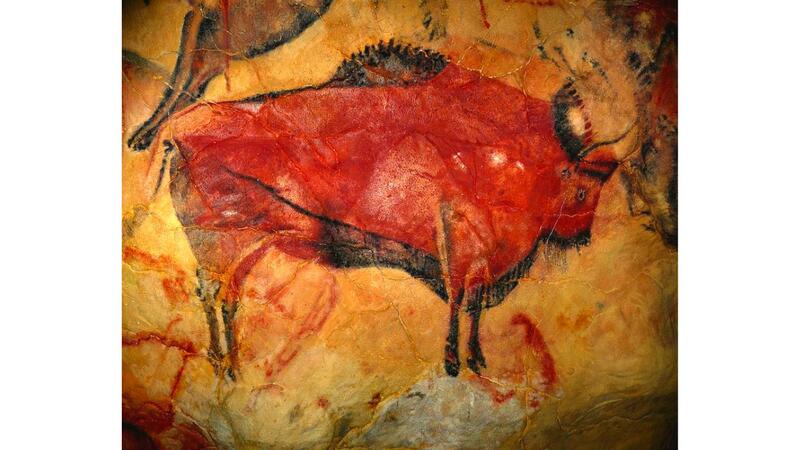 The earliest known drawings were found on the walls of the caves in Spain and France. These etchings date back 30,000 to 10,000 B.C. and include animal drawings along with abstract shapes. Ancient Greeks and ancient Egyptians also drew fruits and animals and even human figure on daily objects. Some of these were for aesthetic purpose but were at times were even used to 'communicate with the gods'. Egyptian hieroglyphs are another example of drawing used for communication in ancient times. In Eastern cultures, on the other hand, no distinctions were made between painting and drawing. But drawing, as we think of it today, gained popularity in Europe in the 1400s. Drawing, whether its using pencils or ink, was only ever used as a base for final paintings by artists up until the Renaissance Period. Art students were taught drawing before they could learn painting, sculpture, or architecture. But more than that, drawing came to be considered a separate art form. Artists like Leonardo da Vinci, Michelangelo though most famous for their other works, still have famous drawings in their "portfolios". Over time, new inventions were introduced to the art world; like colored pencils, crayons, oil pastels, and soft pastels, etc. These mediums started to find a place in drawings. Today, we enjoy paintings of landscapes and day-to-day scenes, even abstract art; but there was a time when paintings were only made to depict scenes from the Bible, and in service of God.Painting portraits of royals and that of nobility was the standard for centuries, some might say they still are. The Renaissance Period was a period of civil and religious changes across Europe, but, as mention above, it was also a period of glorious transformation in the arts. This is when artists began using art to rebel against the status quo. The idea was to create art for the masses, art for the sake of art. The changes in industries also meant changes not just in subject but in the medium used for painting. Oil paint was first introduced in Easter Afghanistan, it found its way to Europe in the late Middle Ages (before the Renaissance). Back then oils form safflowers and linseed were commonly used along with pigments, During the Middle Ages, gold and other precious elements were used in pigments! 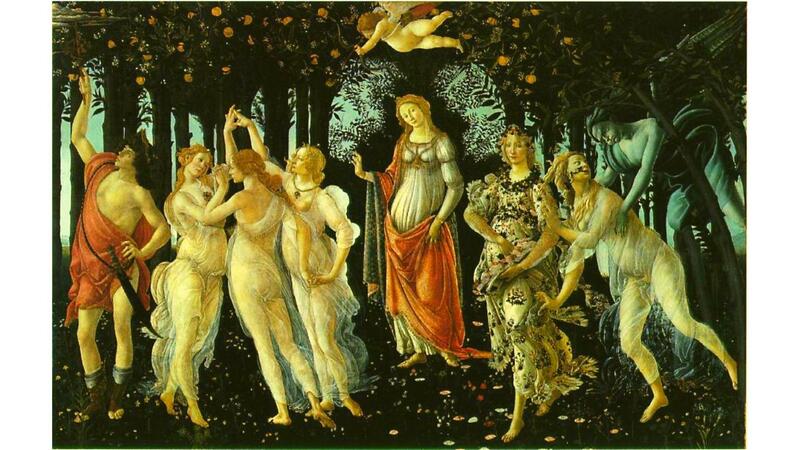 Mostly to depict heavenly entities so as to set them apart from their human counterparts. German scientist and industrialist Otto Röhm invented the acrylic resin, sometime before1934 and in the 1950s acrylic paint (the first versions of it) became commercially available. With shifting political landscapes, the subjects and the styles have changed since the dawn of human life. Various art movements throughout the last few centuries have played vital roles in making these political landscapes shift. Art movements like the Surrealist, Pop Art, and Bauhaus Art Movements were started with these goals in mind. Moving on, let’s take a look at the difference that exists between the techniques involved in each case. Painting is similar to drawing, except that it is considered to be 'wet' art as it involves the usage of colors and brushes. Also, there lies a variation in how the final outcome is achieved in each case. As far as painting is considered, it is mandatory to prepare the surface on which the painting is to be done. Once this is complete, the other steps such as choosing the tone of colors that are going to appear on the surface are done. This is followed by experimenting with various techniques such as layering, glazing with the paint and so on. There is nearly no limit for the things that one can use as paint because it ranges from Acrylic to Oil to Chalk also! Drawing, on the contrary, is remarkably different from the former. Firstly, it is considered to be 'dry' since it doesn’t involve the use of colors or brushes and paints of any kind. The materials employed usually are pencil, pen and sometimes others like crayons and charcoal too. When it comes to matters of technique, you have to note that the approach to a drawing is entirely different from what one would use for a painting. As far as drawing is concerned, it involves more of measurements and scale to achieve a particular result. For that matter, you might even consider a doodle to be drawing, but it cannot be classified under paintings. 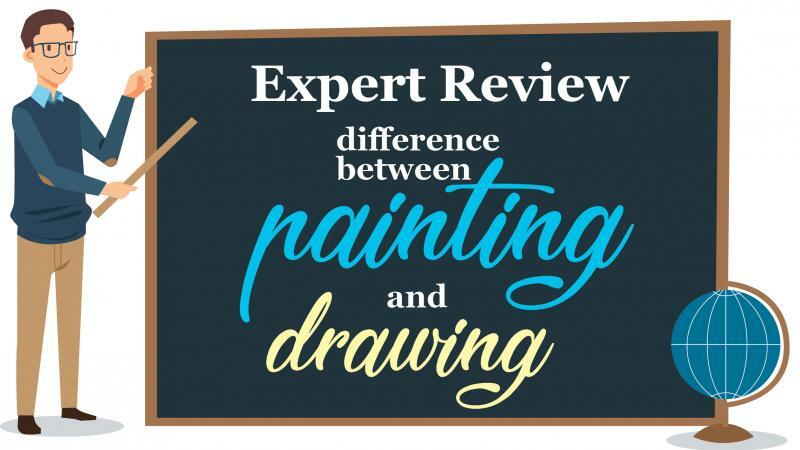 Now that you have gained a basic, beginner level understanding of this fundamental concept, you cannot move on to understanding the different types of paintings and drawings. Now you would be very familiar with this, having come across this in school. 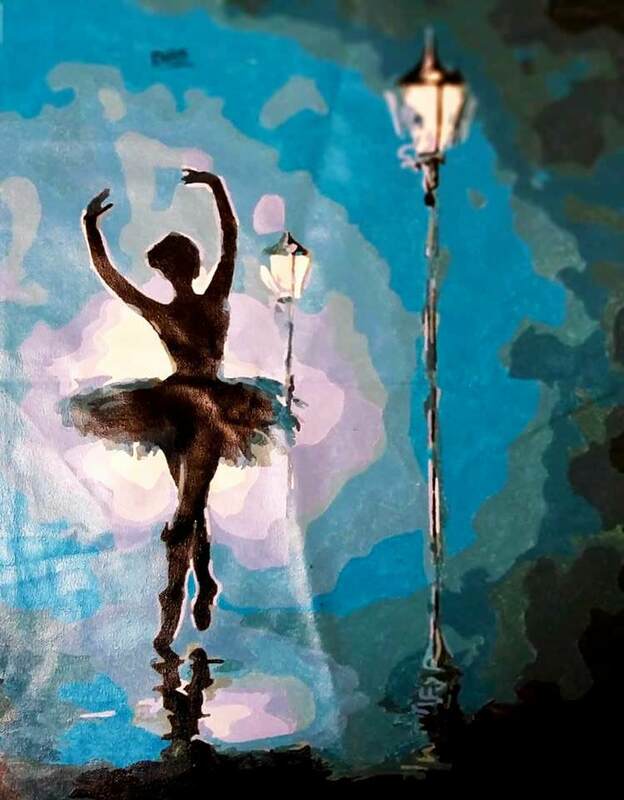 Paintings in this type are done with the help of watercolors. As you would have seen and used, having very colorful palettes. A simple type, which is great to start with. This is a style that involves the use of colors that are exclusively meant for use on glass, called glass painting. It can be of great use if you are looking to decorate glass articles for your home décor. The paint is such that it specifically binds only to glass, so it cannot be used on other media such as paper or any canvas. 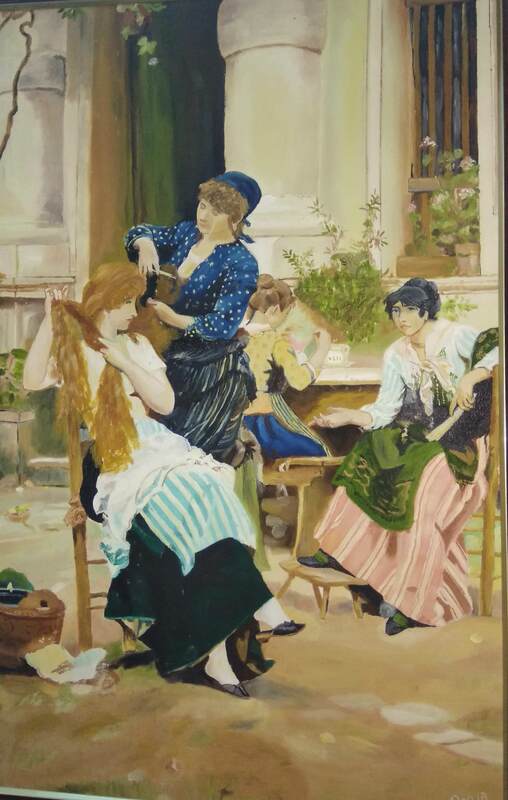 In this style of painting, one would use oil paint, which consists of a drying oil having the ability to adhere to the color pigment of the paint. Naturally, since it’s nature is oily, it can be a little difficult to handle. However, it offers a very professional, glossy finish to the entire painting. Acrylic painting is a very popular painting technique. A very beautiful and colorful type of painting. The paint is water soluble, however, the final painting is water resistant. Acrylic paints are easy to use and hence they are one of the most commonly used styles among paintings. Various other types of paintings exist, such as Spray painting, Inkwash paintings and so on. One of the most commonly noticed types of drawings, it involves the depiction of a person mostly only till the shoulder level. Almost as if it the counterpart of a portrait, is the Landscape style of drawing. In art, landscape drawings are usually reserved to draw subjects such as a specific scene, or nature. Both these styles are unique drawing techniques. Mostly reserved for publishing in comics and fictional books. It could involve the use of dry colors such as pastel colors, crayons, etc. A style very popular and familiar among students of fashion, interior design and architecture. This focuses more on the academic areas, and concentrates on achieving a rough sketch of the details of study subject. Also, in case you are wondering what the difference between drawing and sketching is; we will discuss that in brief. Many people tend to use the terms 'sketching' and 'drawing' interchangeably. Because while the definition of drawing and painting are very separate from each other, that is not the case for drawing and sketching. In reality, sketching is a method of drawing; most people regard sketching as a freer, less refined method of drawing. Sketches are typically made as preliminary stages for both drawings and paintings in order to obtain a rough idea about a more finished work of art. Sketches are typically conceived with quick strokes and are usually in need of more detailing , which a finished drawing usually has. These days both drawings and sketches exist as separate art forms; a sketch doesn't have to contain the detailing to be considered a finished product. Sketches with their quick strokes and overlapping marks can still be valued very highly in the art community. It's understandable if your hands are really tempted to try these all out right away, because that was the entire purpose of highlighting the contrasts. So off you go, wish you the very best to experience the magic as your fingers collaborate with yours. Go trace out great sketches or splash those colors, the choice and canvas are all yours!